The idea is to create a sort of 'self- deportation' of Indian tech workers, the report said. Washington: The US is considering new regulations aimed at preventing the extension of H-1B visas, predominantly used by Indian IT professionals, as part of president Donald Trump's "Buy American, Hire American" initiative, a media report has said. The move could directly stop hundreds of thousands of foreign workers from keeping their H-1B visas while their green card applications are pending. The proposal which is being shared between the Department of Homeland Security (DHS) heads is part of Trump's "Buy American, Hire American" initiative promised during the 2016 campaign, US-based news agency McClatchy's DC Bureau reported. "The act currently allows the administration to extend the H-1B visas for thousands of immigrants, predominantly Indian immigrants, beyond the allowed two three-year terms if a green card is pending," the report said. "The idea is to create a sort of 'self- deportation' of hundreds of thousands of Indian tech workers in the United States to open up those jobs for Americans," it said, quoting a source briefed by Homeland Security officials. "The agency is considering a number of policy and regulatory changes to carry out the President's Buy American, Hire American Executive Order, including a thorough review of employment-based visa programmes," said Jonathan Withington, chief of media relations for United States Citizenship and Immigration Services (USCIS). 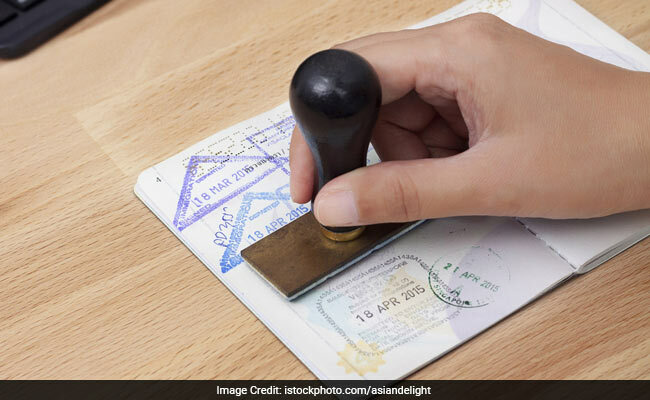 The proposed changes would have a dramatic effect particularly on Indian visa holders considering more than half of all H-1B visas have been awarded to Indian nationals, the report said, quoting the Pew Research Center report. "This would be a major catastrophic development as many people have been waiting in line for green cards for over a decade, have US citizen children, own a home," said Leon Fresco, who served as a deputy assistant attorney general for the Justice Department in the Obama administration who now represent H-1B workers. Fresco estimates more than 1 million H1-B visa holders in the country are waiting for green cards, many of whom are from India and have been waiting for more than a decade.